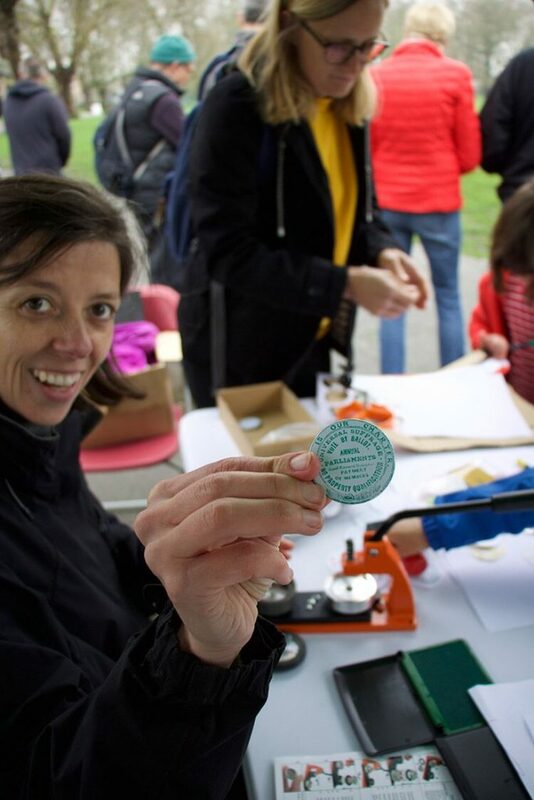 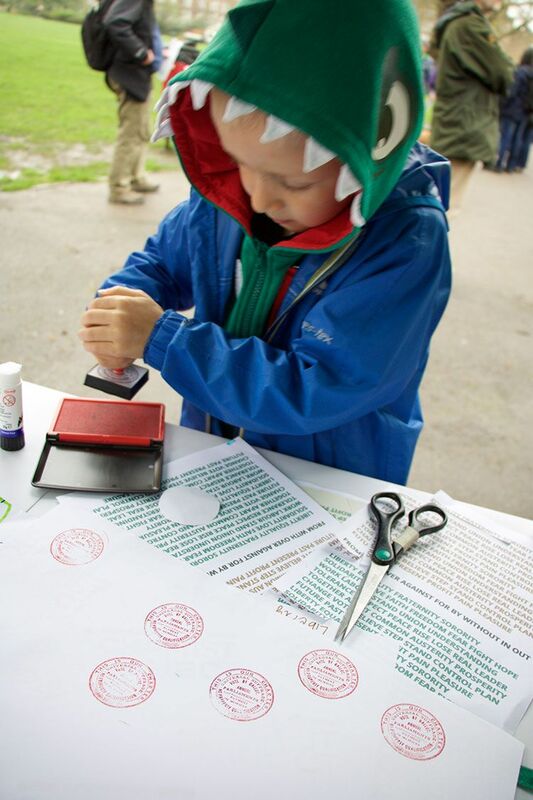 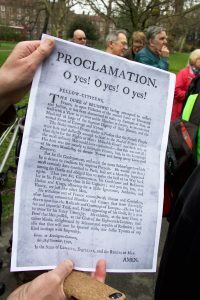 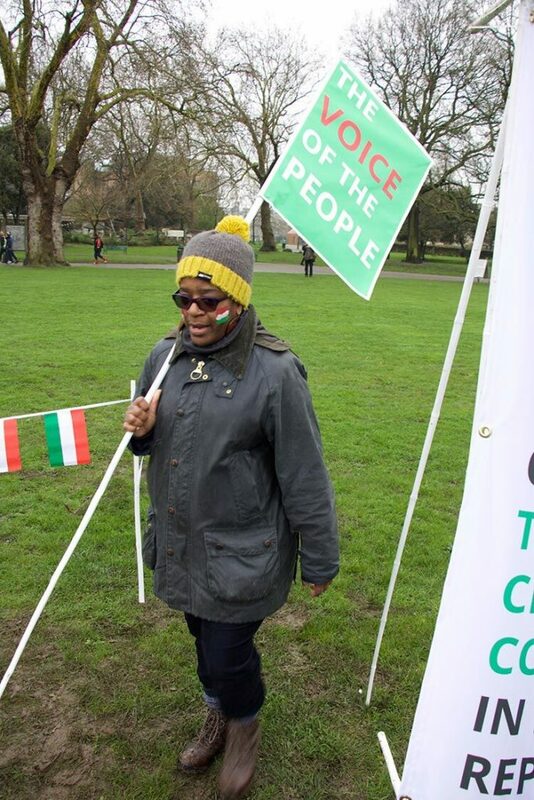 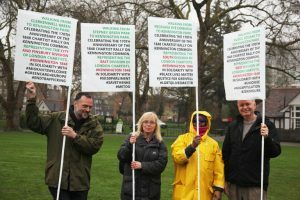 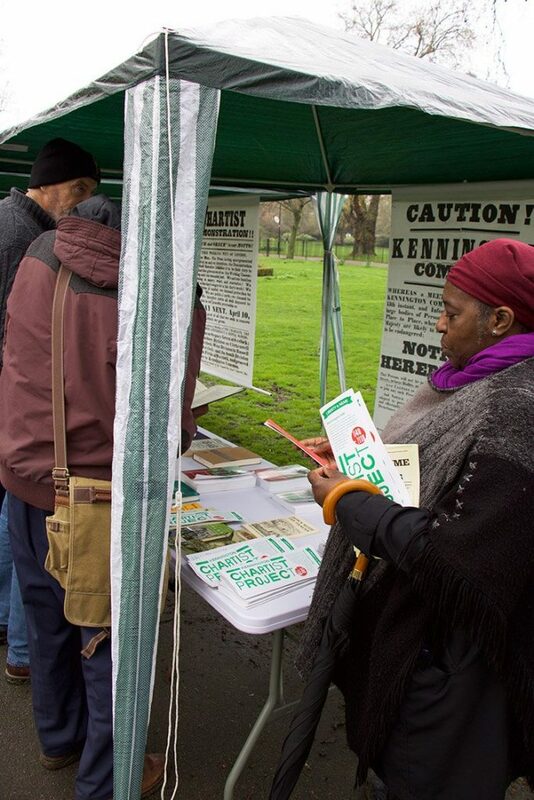 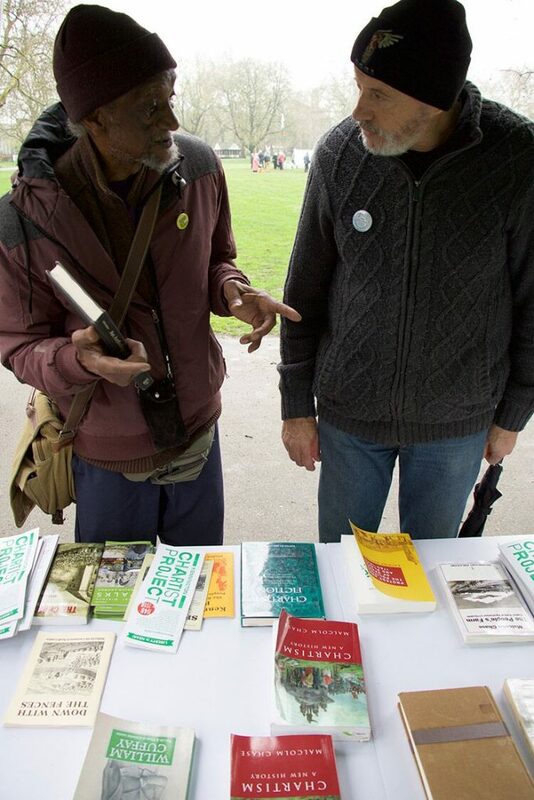 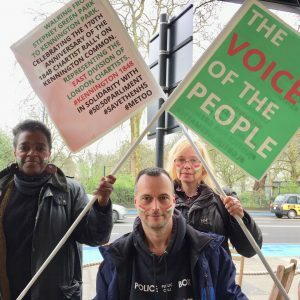 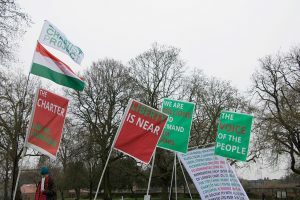 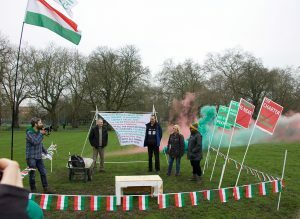 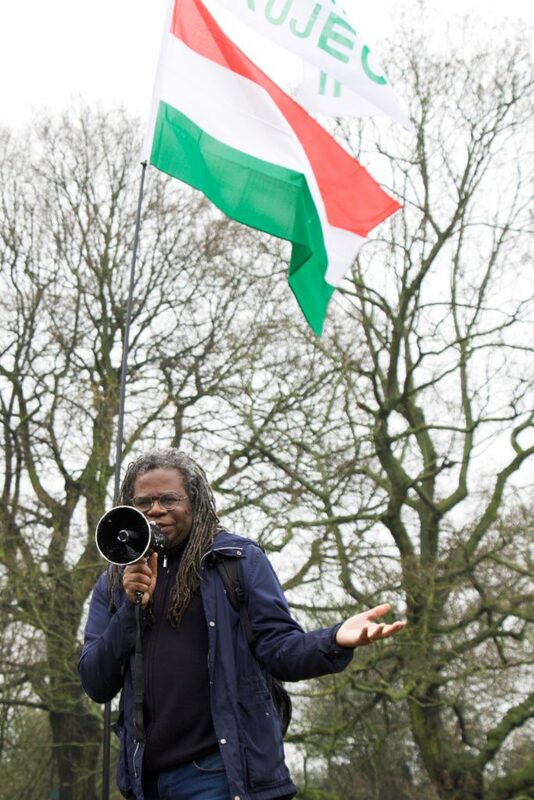 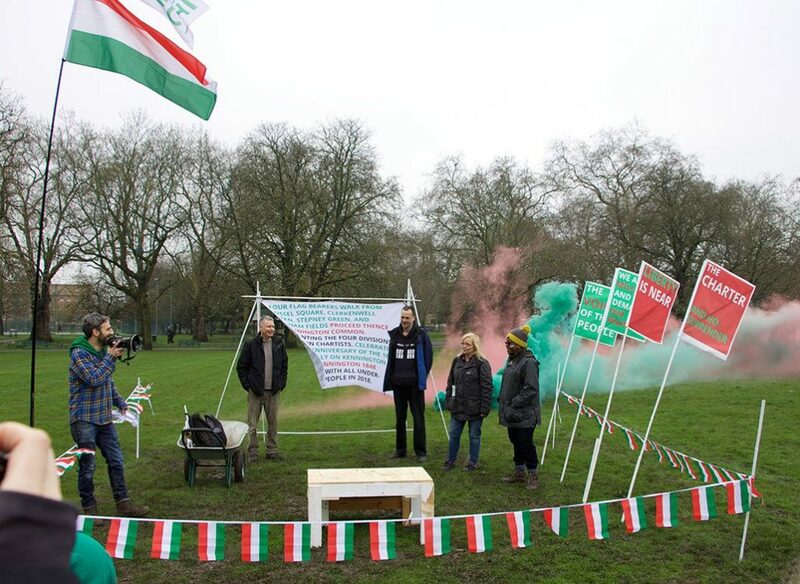 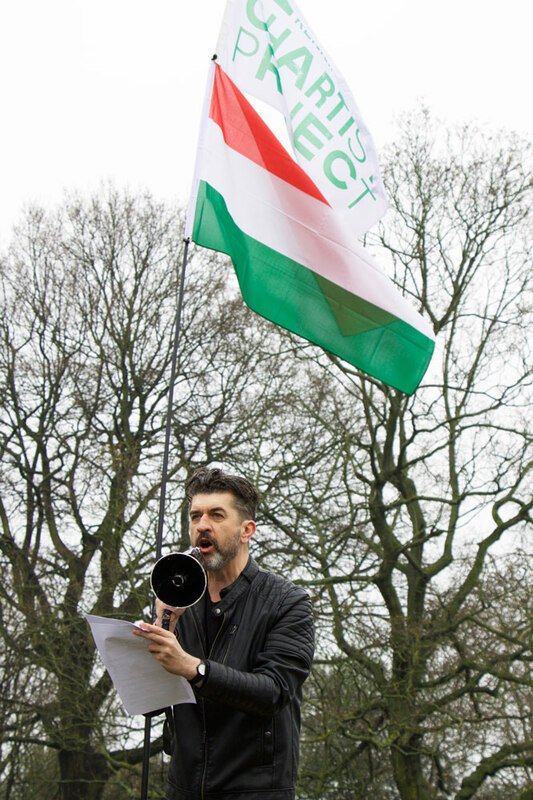 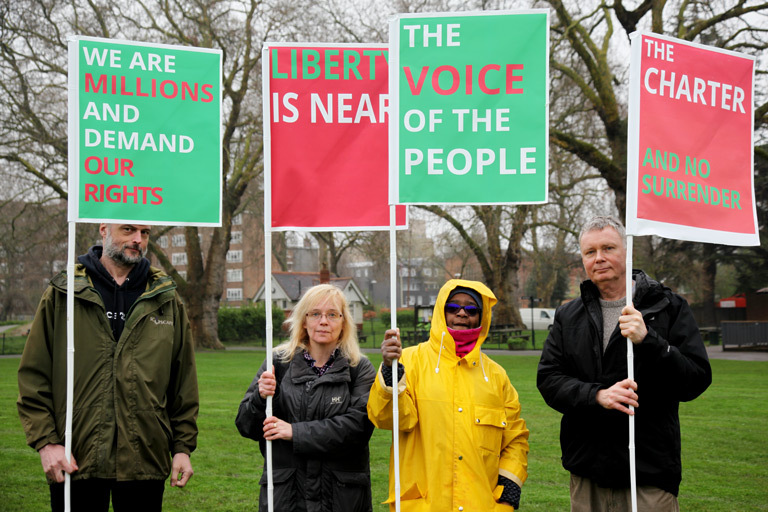 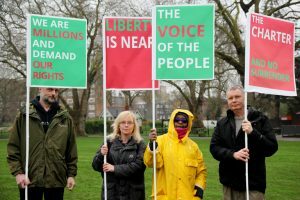 Photos of the 170th Anniversary Celebration of the 1848 Chartist Rally on Kennington Common 10th April 2018 organised by the Kennington Chartist Project. 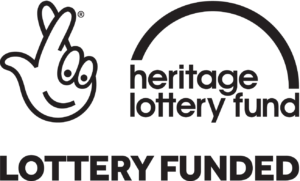 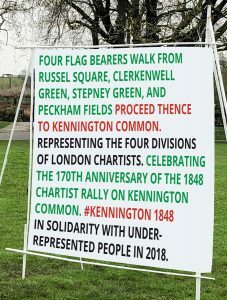 The Kennington Chartist Project was launched on 10 April 2018, exactly 170 years after what was described as the “monster rally”. 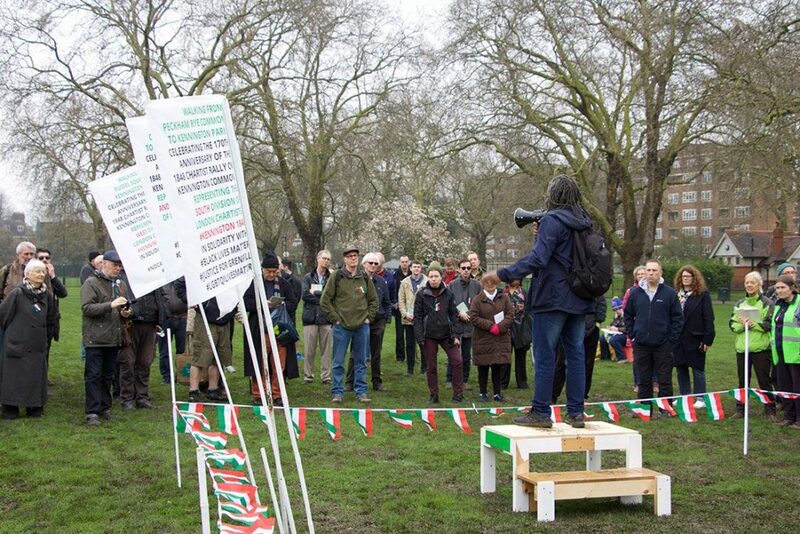 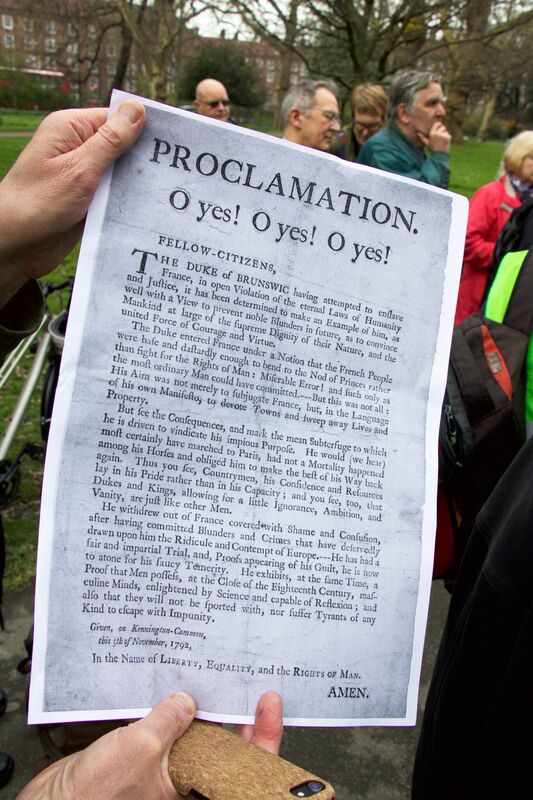 This was a rather smaller gathering in what is now Kennington Park. 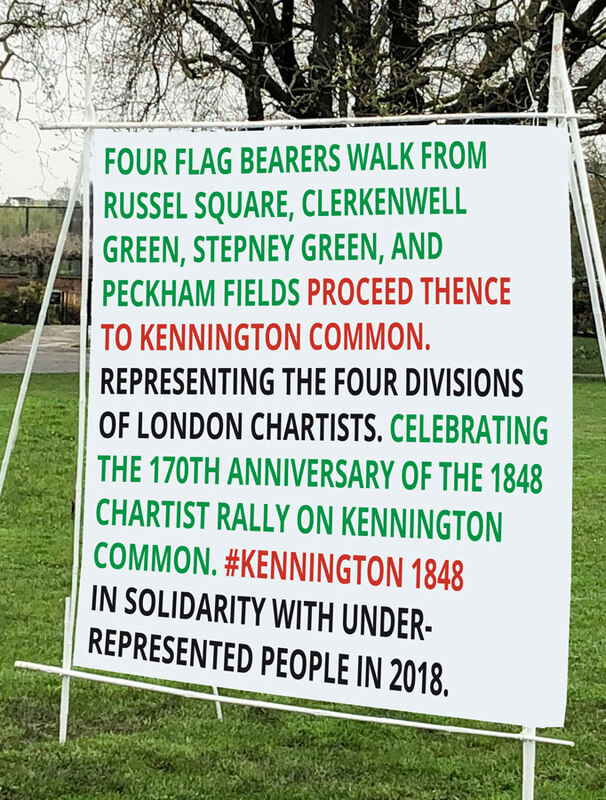 From each of the four Chartist London meeting points of 1848 came walkers carrying flags with Chartist slogans including “We are millions and demand our rights” and “The Voice of the People”. Flags of red, green and white flew in the park . 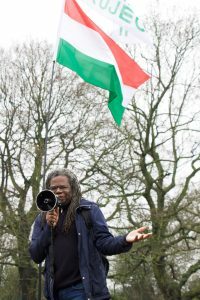 Local historian S I Martin told the story of William Cuffay, the radical black Chartist, son of an emancipated slave whilst Tom Collins, whose family hail from Ireland, spoke the words of the Irish born Chartist leader, Feargus O’Connor, which concluded “Go on, conquering and to conquer, until the People’s Charter has gloriously become the law of the land!” The 2018 crowd included local families, Chartist enthusiasts, family historians , dog walkers and the curious who wanted to find out more. 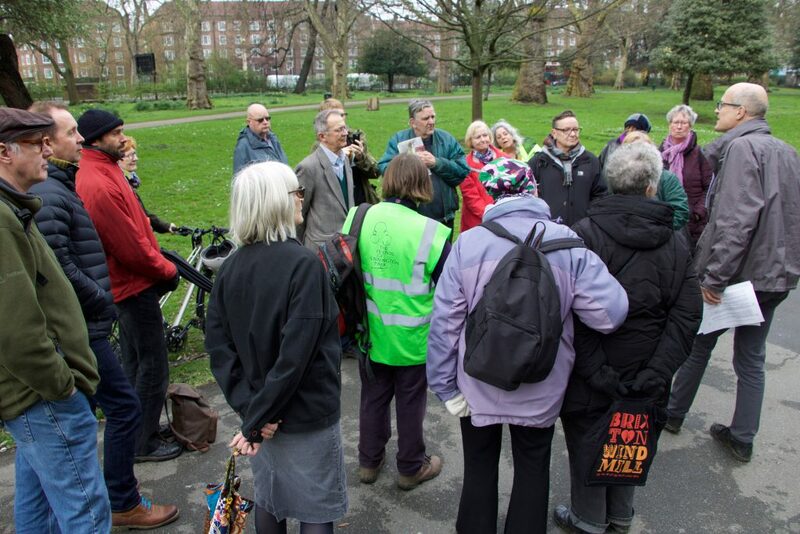 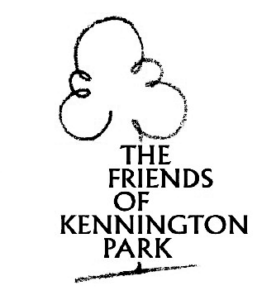 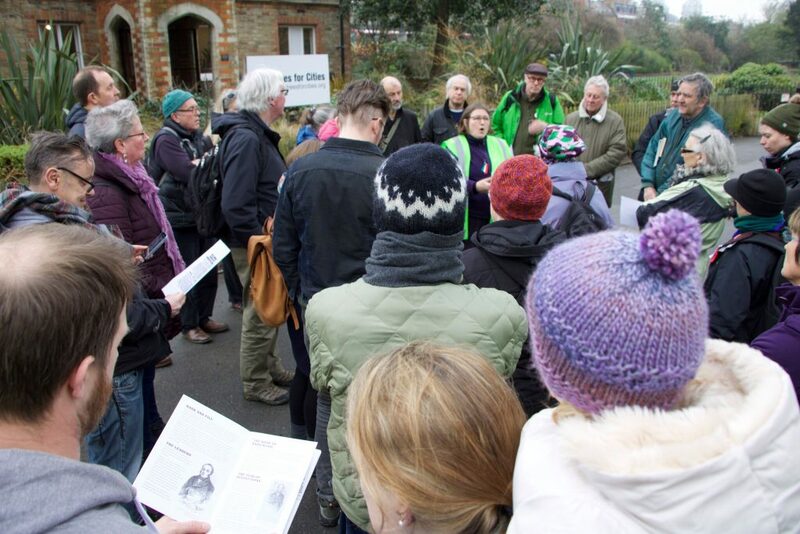 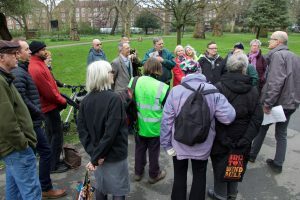 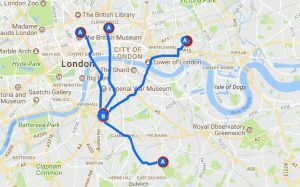 The stories of what happened on that day in 1848 and the place of Kennington within the wider political context were told on two guided walks in the park.